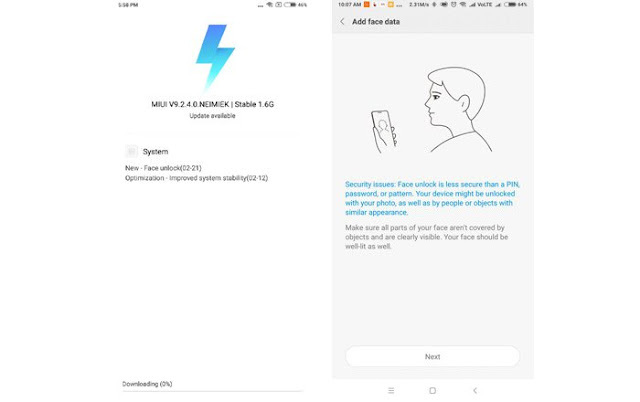 Xiaomi’s latest Redmi Note 5 series went on sale yesterday via the online retail platform Flipkart and mi.com.The company during the smartphone launch promised that it will bring ‘Face Unlock’ for the Pro version by the end of March,the Chinese OEM has started rolling out the feature already. 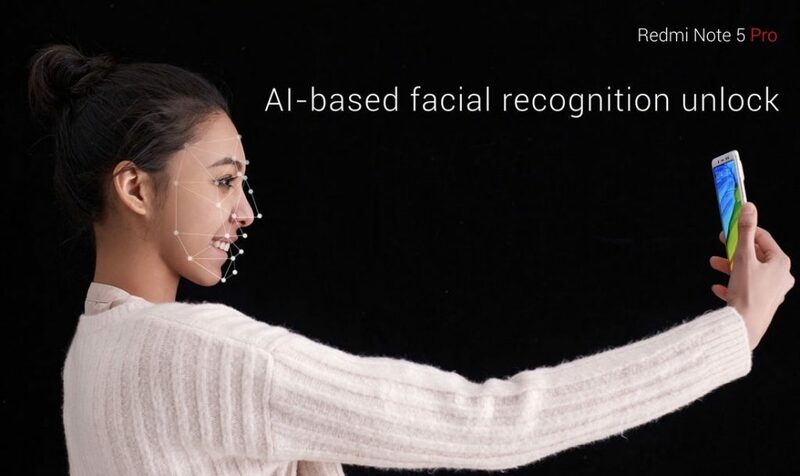 It’s not as advanced as Apple’s Face ID though, since it relies on the device’s 20MP selfie camera to get things done instead of a dedicated hardware solution. Even the setup page for Face Unlock warns users that the feature is less secure than a PIN, password, or pattern. The Redmi Note 5 Pro might get unlocked through a photo, similar looking people, or even objects. It further requires owners to have a well-lit face which is clearly visible.